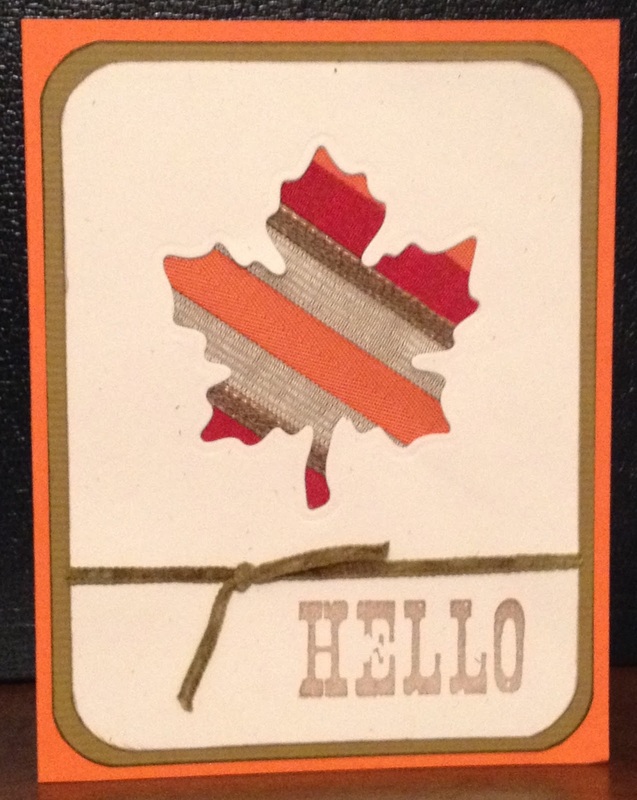 Welcome to the October 2014 Club Scrap blog hop featuring the Homestead collection! If you got here from Tiare's blog, you are on the right path. 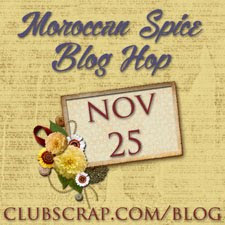 To start at the beginning (and to see the list of bloggers), head over to the new Club Scrap blog. I created one little card for this month's hop. It's the only thing I've created with the gorgeous and down-to-earth Homestead collection, but I've got lots of ideas for more cards and projects. 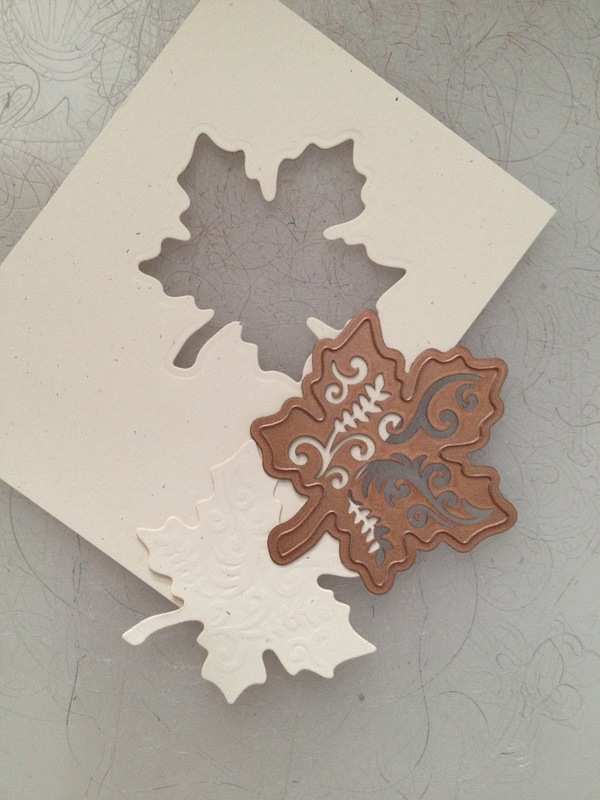 I started with one of my favorite Spellbinders dies (I'll use the die cut on another project). 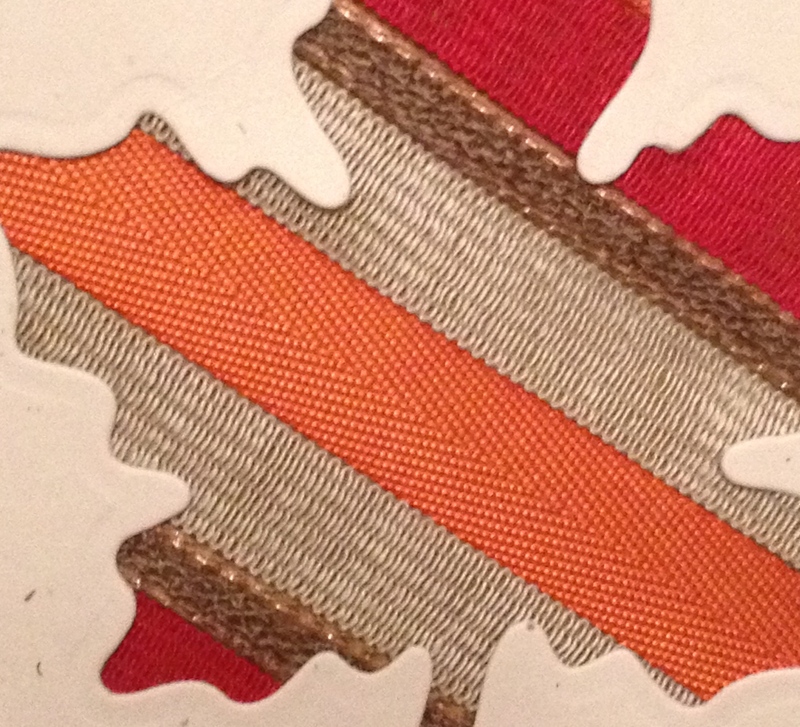 And on the reverse of the card panel, I started attaching ribbon strips. I found it best to add adhesive around the shape plus use tape to secure the ends. Here's the back side of the panel with all the ribbon secured. Again, here's my finished card. I will definitely be doing this technique again with other dies and my extensive stash of ribbon! Thanks for taking a look at my blog today. The next stop on the hop is Marya's blog. 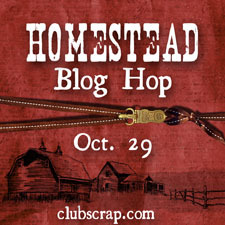 If you want to see the list of bloggers, return to the Club Scrap blog. Until next time, Happy Fall, Y'all!! Love this Lisa - I think this is a wonderful way to use ribbons! Cute idea. Great use of ribbons! A fantastic use of ribbon/fiber along with a die cut. Thanks for sharing the idea! I could really run with this. Oh . . . I need more hours in the day today! What a wonderful idea for using scraps of ribbons in our artwork. Lovely card Lisa, fantastic! love the card. great use of ribbons and that die works great! What a fun technique. I have plenty of dies I can try it with. TFS! Lovely card. I'll have to go try this out. Wonderful card with a great technique! Wow, impressive card. It's just perfect and such a great idea if you have a nice die cut! Thank you. Beautiful card Lisa - great idea! Cute fall/harvest card, great technique, tfs! Beautiful Lisa! and a great way to use ribbon! Have a great day! Beautiful card - great idea!